Are you a smoker? If not, do you know someone who is? Most people know that smoking can cause a lot of health problems and can affect many diseases that you might already have. Do you want to quit smoking, or help someone you know quit? You probably already know that smoking is bad for you, but do you know why? For starters, cigarette smoke contains more than 7,000 chemicals. Many of these chemicals are toxic to humans, and at least 70 of them are known to cause cancer. It takes at least 10 to 15 years of not smoking to lower your risk of most smoking–related diseases to the same level as someone who never smoked. The most common lung disease caused by smoking is Chronic Obstructive Pulmonary Disease (COPD). This disease makes it hard for you to breathe since tobacco smoke damages and destroys parts of your lung. As the disease gets worse, your breathing can get so bad that you will not be able to work or enjoy the kind of life that you once enjoyed. COPD can also lead to early death. There are many reasons to quit smoking, but the most important reason is that the sooner you do, the sooner you will stop harming your lungs. Also, once you stop smoking, you give your body a chance to repair some of the damage that smoking has already done. If you stop smoking, your lungs can repair themselves. Not all lung damage can be repaired or reversed, since the longer you have smoked, and the more you smoked, the more damaged your lungs will be. Therefore, it is important to quit as soon as you can before the damage becomes too severe. If you quit smoking now, you will help not only yourself, but also friends, family, and children that can be harmed by second-hand smoke. Second-hand smoke, or the chemicals from smoke that get stuck in your clothing, put others around you at some risk for breathing problems or cancer if they are exposed over a long period. It can be hard to stop smoking because nicotine is a very addictive drug, but it is possible. In fact, there are more former smokers in the United States today than there are people who still smoke. Most people try to quit a few times before they finally succeed. Therefore, do not give up if you try to quit smoking once and it does not work. Learn from your past attempts. If one plan did not work in the past, try a new one. First, decide to quit. Once you make up your mind, plan ahead for success. 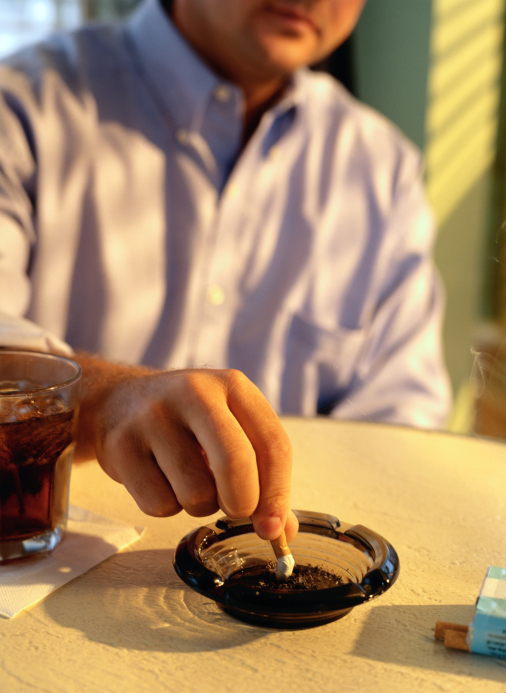 Get rid of all tobacco and smoking-related products like ashtrays and lighters. Tell your friends and family that you’re trying to quit since they can help support you when the going gets tough. Ask friends and family not to smoke around you, or bring tobacco products to your house. This will help you be less tempted. Plan for what you will do if you feel stressed or have a craving. Go for a walk or a jog, talk to friends, or read a book. All can help you deal with such times in a healthy way. Smoking kills almost half a million people each year. For every one person who dies from tobacco-related illness, there are 20 people living with an illness caused by smoking. Once you have a plan in place, talk to the members of your healthcare team and tell them you want to quit smoking. They can help teach you about the different stop-smoking aids. Some people use nicotine replacement therapies (NRTs) like gums, patches, sprays, or inhalers. 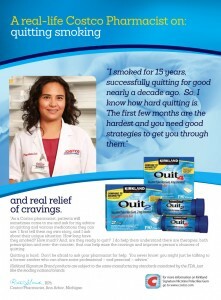 There are also prescription medicines that can help you quit. Someone from your healthcare team can help you connect with a support group or a quit-smoking counselor. Studies show that counseling, combined with other methods, doubles your chances to quit smoking for good.